The day of love is almost here! ❤️ Heart-shaped candies are showing up in stores, couples are making plans, and love is in the air. 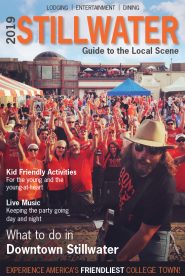 Stillwater has much to offer for those who love, love and want to celebrate big. 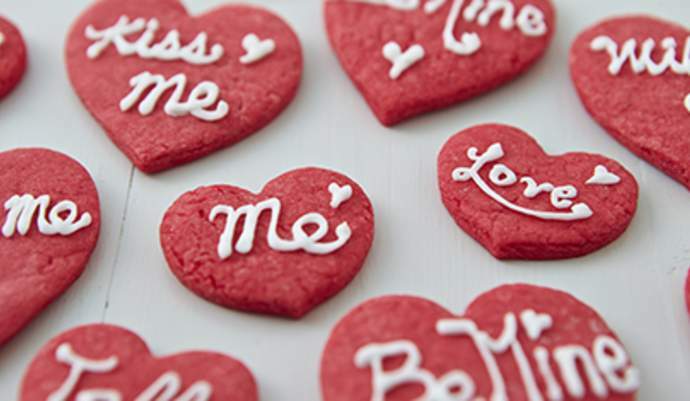 We think these Valentine Day ideas will blow your traditional chocolate-covered plans right out of the water. If your date can’t get enough Hamilton or Wicked in their life, Stillwater has multiple options for creating the perfect dramatic evening for Valentine’s Day.  Dinner and live theatre sounds like the picture-perfect evening to celebrate love. For the young or young-at-heart join Charlie, Linus, Lucy, and Snoopy at Town and Gown Theatre’s production of You&apos;re A Good Man Charlie Brown.  For those looking for a more grownup theme – purchase tickets to True West presented by the OSU Department of Theatre. Maybe your Valentine’s date would prefer something sparkly?  Leonard Jewelry and Rocky Mountain Chocolate Factory are teaming up to make your V-day decisions easy! When you purchase an item of jewelry from Leonard Jewelry you will receive a gift certificate to Rocky Mountain Chocolate Factory.  Bling and chocolate? Yes, please! After you’ve made their day with jewelry and chocolate, join Zannotti’s Wine Bar down the street for their Valentine’s Day Wine Tasting.  Tickets are two for $90 or 1 for $50 and features six wines, live music, appetizers, and a heart shaped dessert. For those who express their love by creating, StillyArts and the Prairie Arts Center have exactly what you need to show your sweetheart how you feel. On February 14th join StillyArts at their Date Night Paint Party!  Spend the evening following along with a professional artist as you paint step-by-step together to create a beautiful Valentine’s Day painting. If pottery is more your jam, sign up for the Pottery Date Night and create a special love vessel at the Prairie Arts Center on February 15th. No need to dress to impress, wear your old clothes and have fun creating something together! An exclusive, gourmet dinner obviously has Valentine&apos;s written all over it. Chef Jeff Denton is preparing a five-course meal at TS Fork – Stillwater with fresh ingredients and live entertainment. 綾數壟 You can still make reservations, for February 16th if you are quick! Whether you are with your one-true-love but can&apos;t stomach quite so many hearts and cupids or you are single and the thought of Valentine&apos;s Day makes you want to 冷 - Stillwater has just the event for you. Come hate on Valentine&apos;s Day with the Tumbleweed Dancehall at their Anti-Valentine&apos;s Day Party. Women get in for free and there will be free pool and Dj&apos;s until 2:00am! However you celebrate, we hope you have a very Happy Valentine’s Day!